Quiet one bedroom appartment with great for spring balcony in North London. Consists of large living room kitchen dinner with a double sleep over sofabed, seperate double bedroom with desk. Bathroom with shower, bath and WC. A two minute walk to Archway tube and many bus routes going in all directions, 8 min walk to Hampstead heath and Highgate. Great local shops,bars and restaurants all a few steps away,station area recently upgraded. 2x tv and free Wi-fi. London at its best! 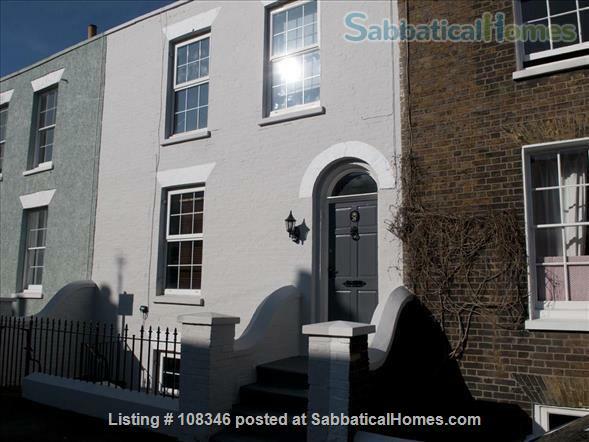 Quiet street very close to everything you need.Great for Central London shoping and museums only 20 mins. Carole has recently completed a new crime fiction novel. Carole has been an Arts & Humanities Research Council Fellow @ Kings College London and sits on the board of New Writing South, where she runs regular Literary Salons , workshops and seminars on the craft of writing.Currently visiting lecturer at LCC. Carole writes for radio, television and film. On radio, she is well known as co-writer of the Radio 4 hit series Ladies of Letters with Prunella Scales and Patricia Routledge, which has ran for 11 series. The latest series, LADIES OF LETTERS GO CRACKERS, was a BBC Radio 4 Christmas special and was broadcast from Dec 27th 2010. LADIES OF LETTERS was produced for TV by Tiger Aspect with Maureen Lipman and Anne Reid and ran for three series on ITV3, repeated successfully on ITV 1. BBC Worldwide publish all the Ladies of Letters audio-books.